Does upkeep happen before untap? 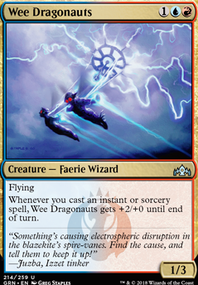 How would this resolve: Beast Within targeting Spellskite when Spellskite is targeting my rebounded Distortion Strike? What determines the order of all the effects that take place? 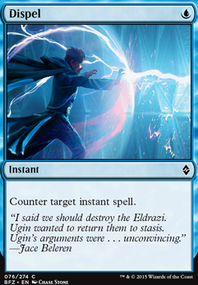 Distortion Strike: Rule question and combination. I don't see the "Devastating Speed" portion of the deck. You have no 1 drops. An INFECT deck has NO 1 drops. That's not "Devastating Speed", that's derogatory and slow. You need, Need, NEED Glistener Elf . Or at the very least, Blight Mamba . Instead of using black kill spells, use spells like Distortion Strike or Aqueous Form to get past blockers. 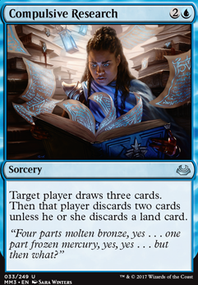 You can also use cards like Simic Charm or Apostle's Blessing to get past blockers or defend against trouble creatures. Vines of Vastwood , Apostle's Blessing , Simic Charm , and Veil of Secrecy can do multiple things as well as protecting your creatures. 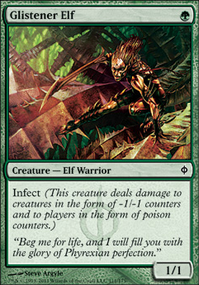 Pendelhaven is an important part of any Infect deck. 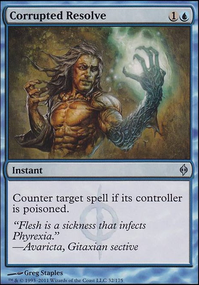 Black is just too slow for even a mildly competitive Infect deck, because EVERYTHING is at least 3 mana, which for an Infect deck is WAAY to expensive mana wise. @itachi45 Help me out here. Deadpoo111, so here's where I'm struggling with how to balance the cuts. With dollar Shu Yun, the math can work that you hit lethal commander damage by playing 2 1-mana spells that add +3/- and casting an aura/flashback/rebound/equipment that provides unblockable. With Prowess and double strike, that's 24 commander damage. The consistency that comes from just needing 3 of many duplicate copies of those effects makes the deck work with otherwise underwhelming spells. As a bonus, that math allows a sprinkling of spells that only provide +2/-, still hitting for 22 unblockable commander damage. If you have something like Tahngarth's Rage that can still provide +2/- the turn after you cast it, the next person goes down with less resources, and so on, closing out the game in 3 or 4 turns. I can't be as efficient with this build. 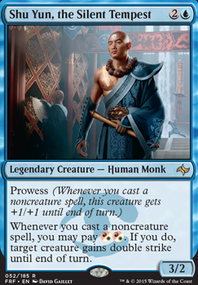 Brute Force is perhaps the best representative of what budget Shu Yun is about, but it's 20 cents, so you can see the average card quality has taken a hit. 2 +2/- spells means that Shu Yun is only hitting for 20 Commander damage with an evasion spell that doesn't provide additional bonuses. That's why Distortion Strike was so painful to cut. I'm keeping Aether Tunnel at 22 cents, although that's still a turn slower. The bulk of the deck is cheap red pump spells, but too many inefficient ones add up- Two Brute Force , rather than two Run Amok is two turns slower. The non-explosive early game also takes a hit, since 2-mana rocks are expensive. 3-mana rocks conflict with casting Shu Yun on time, but early-game interaction also tends to be pricier. I had to cut some of the better cheap equipment, like Runechanter's Pike , so It's hard to tell what this deck should be doing turns 1 and 2, other than hitting land drops. The last issue is card advantage. A lot of draft staples like Hieroglyphic Illumination are over-budget already, so I think this is the portion of the deck that will take the biggest hit. I couldn't justify the cost of Steam Augury , which is already budget Fact or Fiction . Distortion Strike IS a common. Anything older than a year or two can easily top 20 cents. Excluding basics, at 117 cards, now. Average card price is 17 cents, so above the 15.4 cent average the cards are going to have to be. It's killing me to take out cards like Distortion Strike , because it's over 30 cents. I'm going to have to suggest with splashing Blue. You get access to Blighted Agent and Distortion Strike . Those two cards are extremely powerful and can make or break a deck. I'm also going to point you in the direction of itachi45 of the High Council of Jin-Gitaxias, His Royal Highness, the King of Infect himself. I'm also going to link a couple of decks that both me and itachi45 have taken a liking too.